When Should You Use Points for Domestic Flights? Most talk about points, both here and on other sites, favors international trips as the best use of points. But when we tell you how to do Disney World for free, we typically provide a route to use points to pay for your flights with points. It's a tough call whether this makes sense, though. How Much Are Your Points Worth? Let's consider two flyers. Annie visits Disney World every few years and that's the only time she flies. Betty flies internationally a few times a year. If we give each of them 50,000 points, they'd like get very different value from them. On long-haul international flights, Betty can save thousands and get herself into business class cabins. Long-haul international flights are great value when booked with points. On her flights around the U.S. Annie is really only saving a few hundred dollars, though maybe she can get herself into a business class cabin for a few hours. The same points are worth different amounts to different people, depending on their flying habits. Domestic round-trip flights usually cost somewhere between $50 and $400. If you know where to look, you'll be able to get the cheapest fare on every flight. The standard rate for a domestic, round-trip ticket in the U.S. is 25,000 points. Assuming a conservative valuation of between 1.25 and 1.5 cents per points, you're using between $312.50 and $375 worth of points when you book a round-trip domestic ticket. This puts you on the higher end of what a cash ticket will normally cost. When Is 25,000 points Good Value? If your goal is simply to go on a specific trip, and you have no plans for future travel, using your miles for that trip makes sense. For example, if you plan to visit Walt Disney World using points and miles and get 100,000 American Airlines miles for that purpose, then feel free to use them for that purpose! But once you have those miles, make sure that's what you want to do with them. There are rates lower than 25,000, but they're often confined to incredibly short flights or they're very limited in availability. There are three big exceptions to this, though. 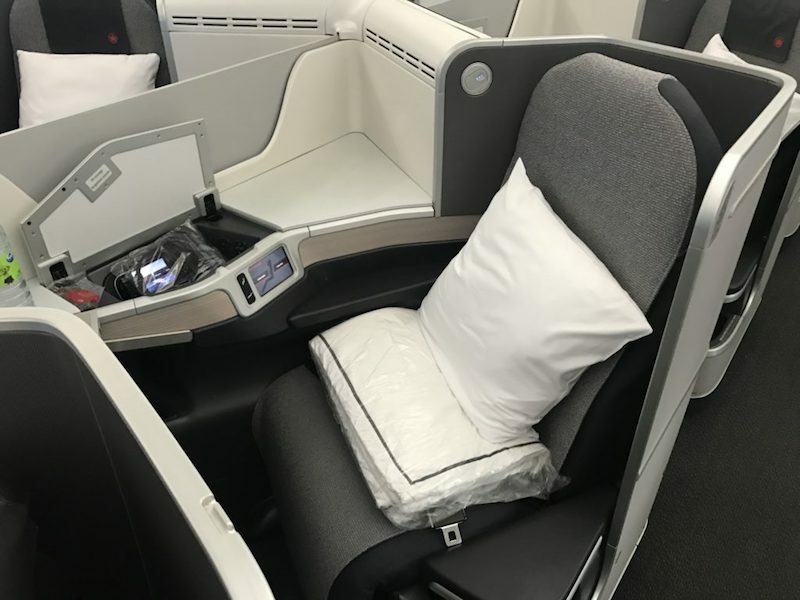 The most popular way to bring that price down is to fly American Airlines using British Airways Avios, through which flights can get down to 8,000 points round trip (B.A. uses a distance-based method for determining required points). This is a good option if you have a lot of points with British Airways itself (the the Chase British Airways Visa Signature Card routinely has a bonus of 50,000 Avios) or one of their major transfer partners (Chase, Citi, and Starwood). The number of points required for a Southwest flight is tied to its fare. More expensive flights require more points, cheaper flights fewer. The exact formula isn't publicly available, but for economy class you'll get roughly 1.6 cents per point. Southwest has several co-branded cards issued by Chase. Additionally, Southwest is a Chase Ultimate Rewards transfer partner. Mouse Hacking Tip: If you're serious about Southwest Airlines, you need to consider going for the Southwest Companion Pass. Southwest can be a great way to use points to book your domestic flight! A newer way, and one we might prefer, is to use Avianca LifeMiles. Avianca is a member of the Star Alliance, so their miles can be used to book United flights. LifeMiles are incredibly cheap, often going on sale, sometimes for as little as 1.375 cents per points. This rate can sometimes be beaten if you book a Lifemiles flight with a combination of cash and points. What's more, their U.S. award chart is pretty good. Finally, you can easily earn signup bonuses for LifeMiles credit cards. Avianca has one card with a 20,000 bonus just for using the card once and another card with a 40,000 point bonus for doing the same! If you want to fly in business class or first class, points are usually the best way to do it. On domestic flights, this is still a bit of a tough call. For instance, we can find business class round trip from Chicago to Los Angeles for $779. We value the 50,000 points that flight would require are more than $779, so it wouldn't make sense for us. If you do decide to try this, remember that domestic first class is usually nothing like international business or first class. You're usually just getting a slightly better seat and better meals for a relatively short flight. On flights of four hours or less, there's just little reason to ever pay cash or points for a premium cabin. The best use of points for a premium cabin in the U.S. is probably 45,000 round trip to Hawaii, home of Disney's Aulani Resort. As international travelers, our points are quite valuable to us. While there are times we would snag a flight using one of the above options, we typically prefer to fly on low-cost airlines if we can't find other flights at the right price. Yup, we've flown Spirit several times and didn't mind! We get that this is a huge deal for people. If you're not careful, flying low-cost can be shooting yourself in the foot. You'll wind up paying crazy fees that you didn't know about. We have tips for surviving a low-cost airline, but when it comes to price and picking your flight, the name of the game is research, research, research - starting with our guide on surviving low-cost airlines. If you don't want to fly low-cost airlines, or if the prices just don't work no matter what, then by all means use points! Just know that if you have international travel coming up, you might get a lot more value out of those points down the road. Have you ever used points for a domestic flight?